Flaky buttery croissant embracing a bar of chocolate!, originally uploaded by Camemberu. Some say the Japanese bake better croissants than the French. I'm inclined to agree. It's even better when they wrap that croissant around a delicious stick of chocolate! Witness the Choco Cro divine confection. We chanced upon this in the Teramachi covered shopping alley in Kyoto, although it's a Harajuku chain. 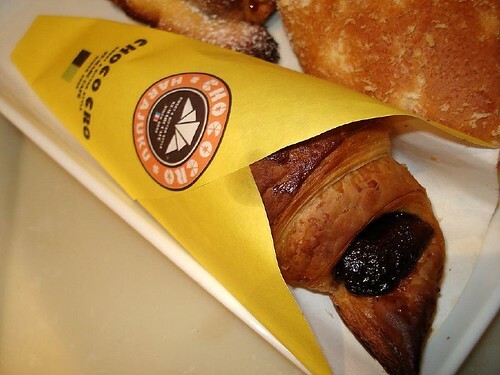 Choco Cro chocolate croissant, originally uploaded by Camemberu. There are two flavours. 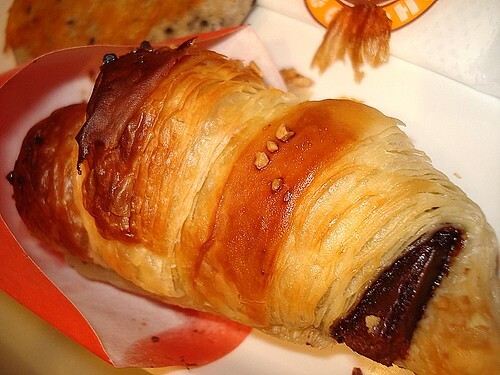 This is the regular or original chocolate croissant (about ¥137) in orange paper cone. 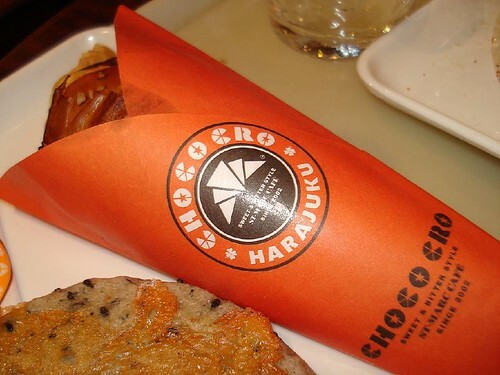 Choco Cro banana chocolate croissant, originally uploaded by Camemberu. This is the banana chocolate version, dressed in a yellow paper cone (maybe about ¥160, can't remember). I personally preferred this over the regular chocolate. 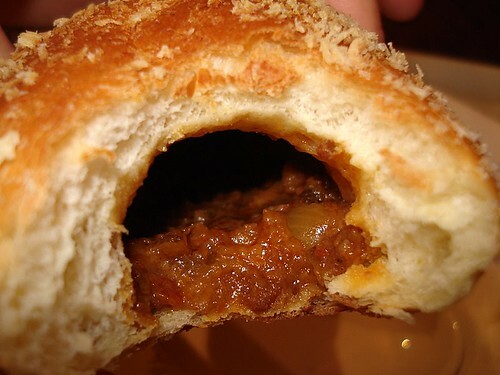 Curry bun from Choco Cro, originally uploaded by Camemberu. They also have savoury items, like this scrumptious curry bun. We didn't try the pizza slices. 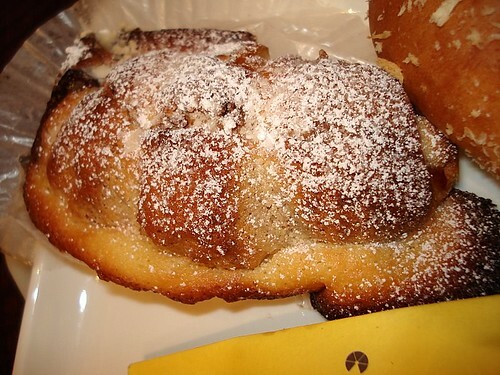 Forgot what this pastry is, but it was tasty, originally uploaded by Camemberu. And here's another delicious pastry. You know, we originally stopped at this cafe for a short break and a light, pre-dinner snack. But I think we piled on like a bazillion calories with these sinful pastries! 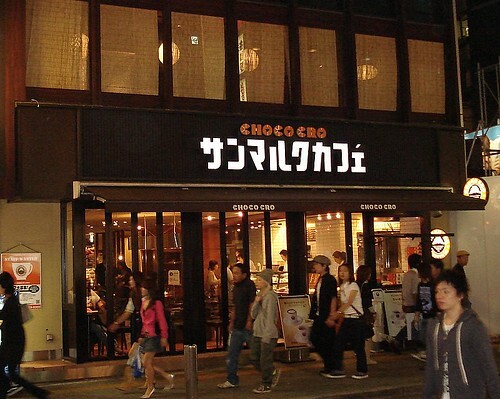 Choco Cro at Shibuya, originally uploaded by Camemberu. This is the Shibuya storefront, which we saw much later on. ohmigosh, i LOVE chocolate croissants and that one looks mighty delicious!! I want! 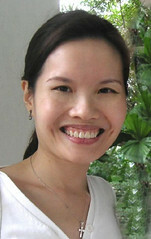 Yeah, hubby wanted to bring the chain to Singapore! Bet it would beat the socks off donuts! cool! singapore like not mad with croissants yet. how much is 137 yen? Yeah, Kani Douraku was on my list for Osaka and we even looked at going in, but we just didn't feel like multi-course crab that evening. They do have a great lunch deal though. hmm.. i am quite interested in the store, so its something like a cafe selling croissant only? got a lot of peoope when u were there? By the way, the flaky buttery croissant embracing a bar of chocolate, as in they really put a bar of chocolate inside the croissant?? The cafe was moderately crowded at 5pm on a weekday. As mentioned, they sell a variety of stuff, both savoury and sweet (I think they also had some sandwiches) along with hot and cold drinks (coffee/tea/juices), but the flagship product seems to be the Choco Cro. And yes, they really do put a bar of chocolate inside the croissant - you can see it peeping out. But of course, it's a small, thin bar...not your usual store-size bar of chocolate! That would be too "jelak"! Thanks, S.J. - I did not know that! And wow, are you really from Afghanistan?? enjoy the heavenly made thing comes to the world with great food.